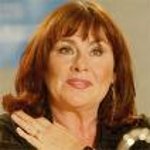 Actress and comedian Mary Walsh, who suffers from macular degeneration visual impairment, has been a spokesperson for the Canadian National Institute for the Blind on various occasions. She is also vocal about mental disorders and addictions, both issues her family has been touched by. Google trends for "Mary Walsh"
We don't have any videos related to Mary Walsh.